This week saw the climax of the Eurocup quarter-finals with one game on Tuesday evening and then the remaining three games on Wednesday evening. There was just the one game on Tuesday but it had a nail-biting finish, making it a great watch for any neutrals. The Turkish side managed to hold their nerve and they were the first team to reach the 2016 Eurocup semi-finals when they overcame FC Bayern Munich in Istanbul. The Germans held a 10 point lead from the first leg but a 13 points winning margin for the hosts on Tuesday night ensured that they are the team which can look forward to being in the final four of the tournament. Errick McCollum offered up 15 points for the winners while Chuck Davis grabbed 14 points. Both of these players grabbed free throw points in the last minute of the game and it was Davis who grabbed the shot with 32 seconds left on the clock that gave the hosts the aggregate lead. Vladimir Micov provided 12 points for the winners and Blake Schilb provided 11 points and 9 rebounds. For the losing side Alex Renfroe grabbed 12 points but he will be haunted by returning 0 from his 5 free throw shots. Bayern were also boosted by Deon Thompson grabbing 14 points and John Bryant providing 10 points, although it wasn’t enough in the long run for the Germans. There was some drama and tension on Wednesday night in the Eurocup and things are looking for some exciting semi-finals. 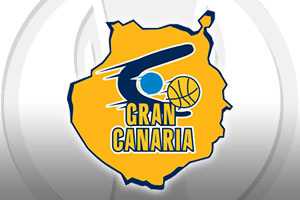 There was a home defeat for Gran Canaria on Wednesday night but that wasn’t enough to stop them progressing to the semi-final. The 11 point winning margin in the first leg was more than enough to mean that a 3 point loss at home wasn’t fatal for the Spanish side. The result saw Zielona end with a remarkable 5-0 record away from home but in the end, it was the team’s poor home form that saw them exiting the Eurocup. The hosts were boosted by 14 points from Alen Omic grabbed 14 points, Xavi Rabaseda provided 12 points and Kevin Pangos offered up 12 points. 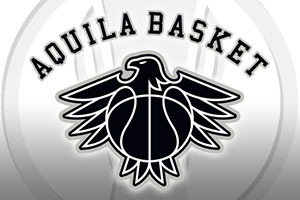 For the away team, both Vlad Moldoveanu and Lukasz Koszarek grabbed 15 points, Dejan Borovnjak provided 14 points and Przemyslaw Zamojski provided 12 points. A final 0-10 scoring run helped the hosts grab a win on the evening but they never looked strong enough to force the tie or turn the aggregate score in their favour. The fact that this game required two periods of overtime to split the teams tells you everything you need to know about the intensity of the game in France. A 9 point win in Russia looked last ensured the hosts were looking good this week but at the end of the regulation time, the Russians were 65-74 ahead, cancelling out that 9 point advantage. At the end of 45 minutes, the score was 77-86, so there was yet another 9 point gap but in the second period of overtime, the French side managed to push through. Kyle Weems was the leading player for Strasbourg with 35 points, Rodrigue Beaubois provided 17 points, Mardy Collins offered up 12 points and Bangaly Fofana offered up 10 points in the big game for the hosts. Victor Rudd offered up 26 points and it was his three point effort that took the game into the second period of overtime. Rasid Mahalbasic provided 20 points and 10 rebounds, Vladimir Ivlev provided 16 points and Dmitriy Khostov grabbed 10 points on a night that ultimately ended in failure for the Russian side. With a ten point lead from the first game, Dolimiti were confident heading to Milan and they grabbed a five-point lead in the opening 10 minutes of this game. Trento continue in this vein and by half-time they were well clear on aggregate and there was no real comeback for EA7 Emporio Armani Milan. Domonique Sutton provided 20 points and 8 rebounds, Davide Pascolo offered up 17 points and 7 rebounds while both Julian Wright and Trent Lockett provided 13 points each in the win. For Milan, Kruno grabbed 14 points, Milan Macvan offered 13 points, Jamel McLean had a double-double with 12 points and 12 rebounds while Rakim Sanders provided 11 points. Both of the semi-final second leg ties are scheduled for Wednesday April 6th.